Last week I went up to check the corn while my sister and her husband were away, and noticed that the whole field between the rows of corn was covered with healthy, luxurious lambsquarters. This is one of my favorite wild greens. Some people have a mild objection to the powdery texture on the underside of the leaves, but there is a flavor that reminds me a bit of oyster stew that gets me right past that little problem. I like them mildly steamed with a little butter and salt as a side dish - or (as you will hear about just about any wild green) of course wherever you'd use spinach. It is getting ready to go to seed. Chenopodium album is what we're talking about here. The grain that everyone has been eating lately - Quinoa - is Chenopodium quinoa, so they are both in the same family (Cheno podium = Goose foot). I'm really hoping to remember to ask that a row or two not get mowed because it would be interesting to gather some of the seeds and see if they are much like quinoa. Who knows? It might be even tastier (and way cheaper). The corn didn't fare very well this year. 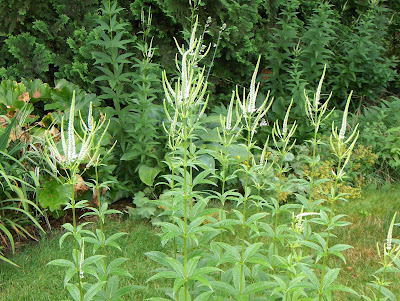 The stalks were stunted, barely up to my shoulders, and the ears were small. There might have been a moment there when the kernels were perfectly tender and ripe, but we sure missed it and went right to tough. Even the deer and the groundhogs ignore it. Even so, I went up to the field today to gather a few cups of lambsquarters and a couple ears of the corn to try out in an "impossible pie." I know, I know... lazy. Who cares? I needed to clear some stuff out of the fridge and seriously love how easy these things are. I'm sure there are simple directions for making an equivalent baking mixture using whole grains - and I should look it up. After mixing it all together in the giant mixing bowl, a 10" pie pan was buttered and filled with the mixture. It sat for a few minutes until the oven reached 375 degrees. At that point, I noticed leaf tips sticking out and didn't want them to get crisped, so covered them with about 1/4 c (additional) cheese. Bake 35 minutes, cool for 10, and eat. This would be great with chopped onion, broccoli, and tomatoes. It is such a versatile recipe. 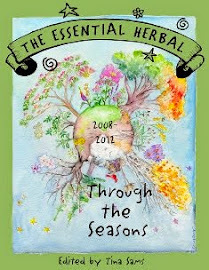 The Essential Herbal's Virtual Garden Tour is on the next-to-last stop. 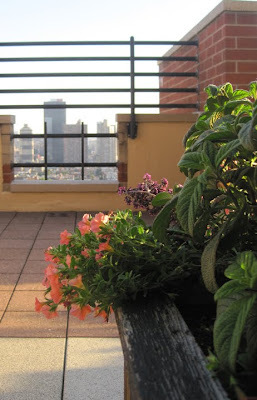 These are Maryanne Schwartz' gardens. Maryanne is the lay-out director for the magazine, she makes amazing lampworked glass beads and vessels, and has been the proprietor of a wholesale soap business for nearly 20 years. She is also my sister. As you come up the driveway, a small raised bed holds a patch of Old Man Artemesia surrounded by snap dragons. Maryanne found this (now fogged) glass ball that seemed to fit in with the gray colors. One of the big structures to the left - toward the shop is a big pergola that you may recognize from a few years ago when we featured it in the magazine covered with gourds. 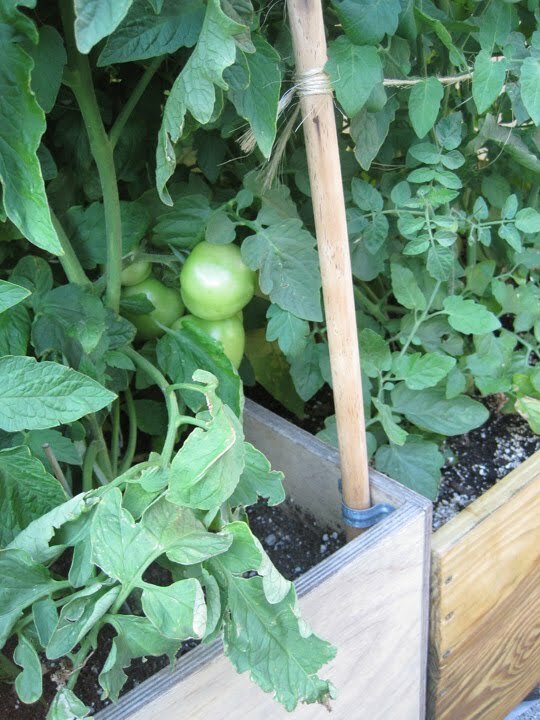 In the front, we use it for a support for our tomato plants. Just next to the chicken house is a bed of asparagus. It supplied us with fresh spears for over a month this spring. Now it adds some extra cover for the small birds. There are a number of small raised beds along side the asparagus, this one hosts Bob's cabbage. He made an experimental batch of sauerkraut last yeah with a few heads of cabbage and it was so successful he decided to grow a batch more this year! On the way across the yard toward the house, on the left is a weeping cherry which is beautiful for that short blooming time in the spring, but underneath it is planted a bunch of stargazer lilies that are just one of the most beautiful, extravagant sights of the year. These are just a few of them. One of the latest additions to our yard is my new herb garden. 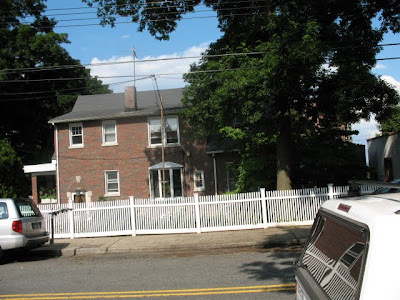 We always had them planted here and there throughout the yard and after he cut down an old ornamental crab apple tree, Bob suggested we replace it with a fenced in area with raised beds close to the kitchen door.... Agreeing was easy to that one! It's just getting started here. The fuller herbs are in the bed that is farther away. You can see the comfrey in between the beds - that was there before. There are patio tomatoes growing on the fence to the right but I don't think you can see them. Just outside the fence is a little place where we always had some miniature roses and iris. 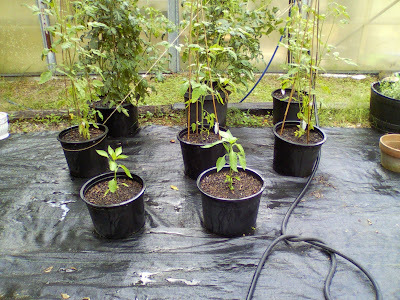 I tucked in 3 different kinds of salvias - pineapple, back and blue and bog sage. We'll see how they turn out. That rusty old lantern is something we used to sell at our shop way back when and I still love the way it looks! On the way into the patio, there is a plant of echinaea - the petals always look droopy, so I assume that is the variety. 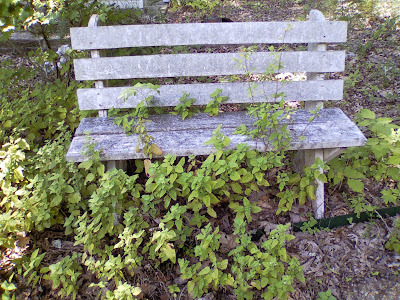 It is planted lext to a post that supports autumn clematis which will be blooming in its froth of white come late summer. The back of the house is brick paved and my husband and son built the little pavilion years ago. The wysteria has taken it over, but the shade is so welcome in the summer! It is a lovely spot. Finally, I took a picture of this, just because I liked the look of it, but a day or so ago, I was showing it to my husband when we noticed a little chipmunk climbing all around it and then disappearing into the little cave it makes with a wooden step to the right. It's his house! We LOVE chipmunks around here, so we were enchanted. There's much more, but the day I was taking pictures, these are the things that caught my eye. Hurricane Irene is barreling up the coast today, so I will attempt to get my pictures before noon. Otherwise, I'll just have a really good excuse for the messy gardens. Hmmmm.... what to do? After that, we'll be working in earnest towards our final issue in our first decade of publication! I thought we'd cool off a little bit and head north. This summer there just aren't too many places in the US that aren't baking, but we've found a couple of them, and we'll visit them over the next few posts! 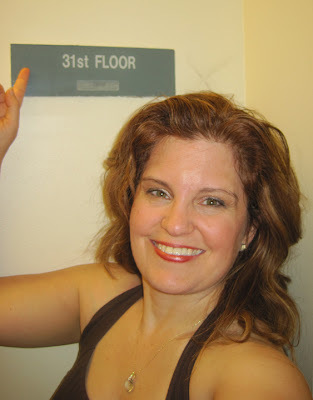 I can't really tell you how long ago I came to know Betsy Stevens. She's one of those people who it feels like has just always been there. 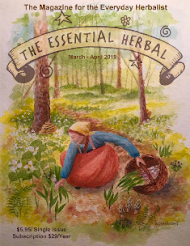 One of the biggest benefits of being the publisher of The Essential Herbal magazine is getting to know some really wonderful people who wouldn't have come my way otherwise. I am grateful for that on a daily basis. Betsy and her family live on a 1/3 acre lot in a mid-20th century sub-division in mid-Michigan. From the following pictures, you'll think she lives in the middle of the wilderness. Let's see what we have here. First, a lovely stand of Culvers root. 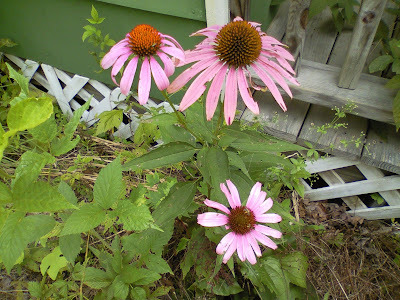 There's boneset growing... Is there anything prettier than echinacea and daisies growing together? So carefree and lush. 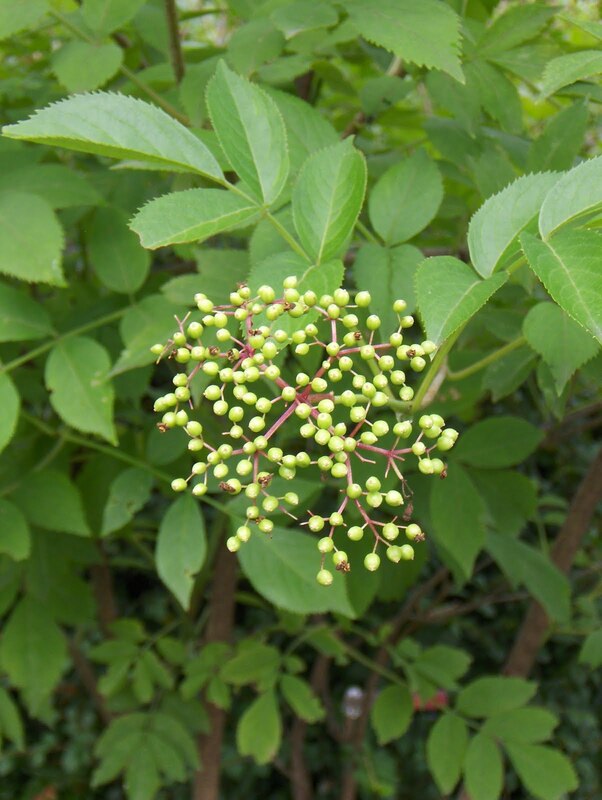 The elderberries are forming and there is some coloration beginning. It won't be long before time for elderberry pie, jelly, tincture, syrup, drying and freezing. 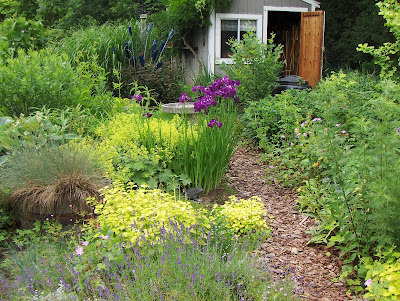 Here is Betsy's interpretation of permaculture - herbs instead of ornamentals. Each of us can do a bit of permaculture wherever we are, and every bit helps. 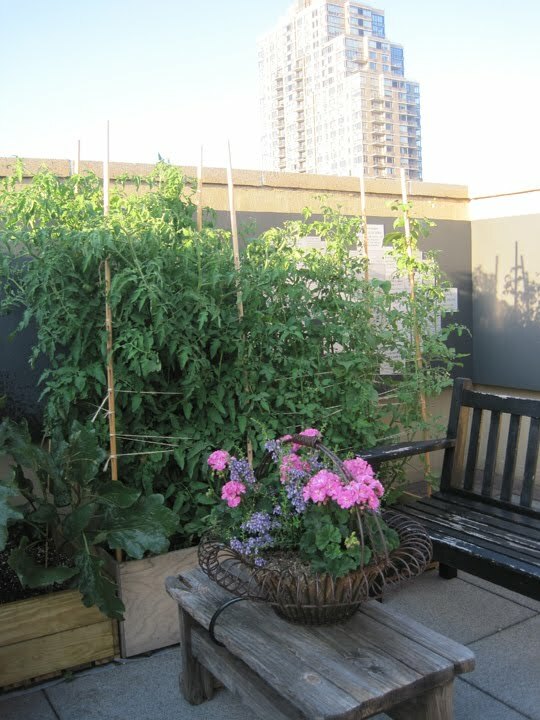 We can't all be living in intentional communities off the grid, so we make our peace in our own gardens. 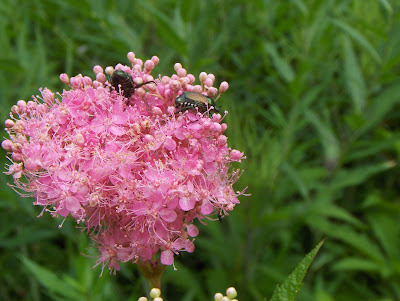 Beetles love the Queen of the Prairie. The marshmallow is very happy growing by the compost. Mint for many things - especially Mojitos! 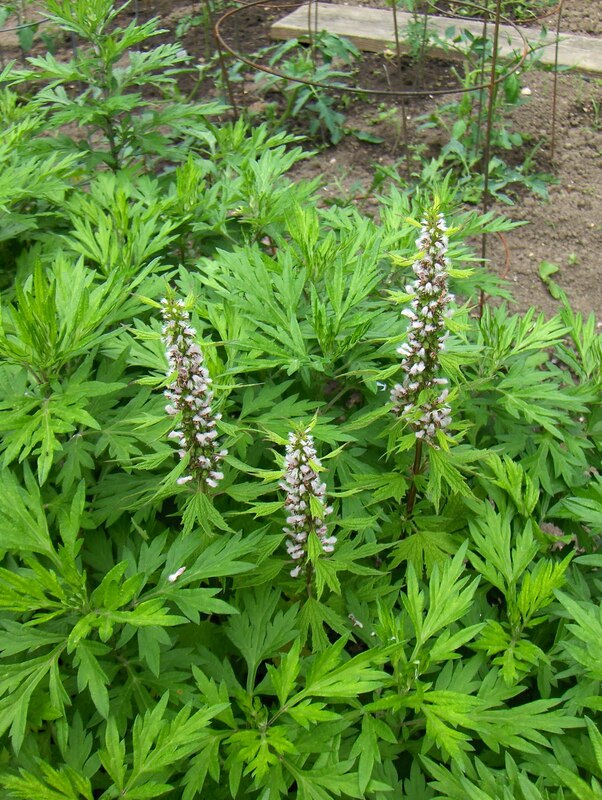 The motherwort is in bloom... This is the stage we use for tincturing or to dry. We want those flowers! Here is the path to the garden shed. ... and the side view of the path to the garden shed. 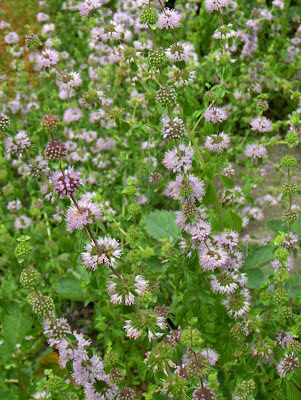 Pennyroyal in bloom. 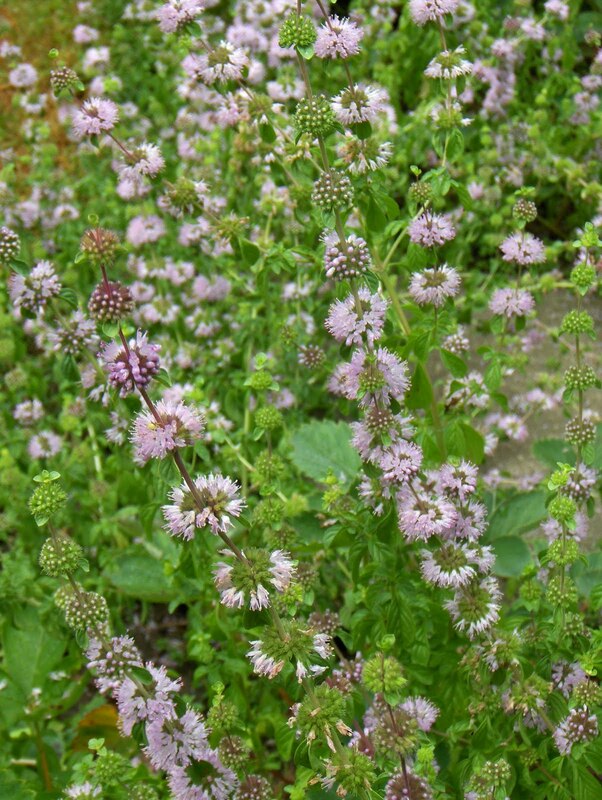 In the days of old, people planted pennyroyal in their dooryards to discourage fleas from getting into the house. St John's wort volunteered under Betsy's elderberry bush. In some parts of the country SJW is considered invasive. My own personal experience is that it migrates around my property, and one year will be almost explosive followed by a year with very few blooms. Wow! 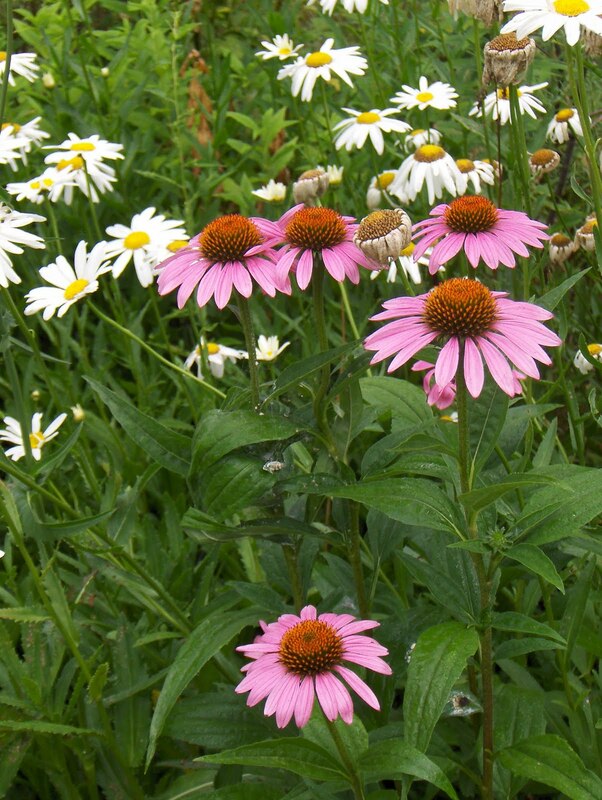 Isn't it amazing that 1/3 of an acre feels so much like we just took a walk through a country garden? Stay tuned, we'll be going to Washington state and Maine in the next week or so, and I'm hoping that we get a few more from other subscribers. All I need is a few pictures and off we go! We'll take a short break from our travels and enjoy the last of the lavender until the small autumn crop. In this following article, there are food recipes which require just a pinch or so of the very flavorful lavender. 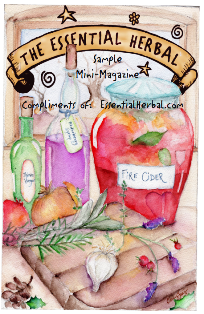 The article is from The Essential Herbal, July/Aug 2009. If you're lucky, your lavender is now in glorious bloom. You have different shades of purple; from the munsteads to the dark purple hidcote (my new favorite). For some strange reason, I have TONS of lavender. It grows everywhere. It spreads all over and pops up in strange places--a crack in the driveway or a a patch of gravel. I started with a few plants in the front yard and now it's everywhere. I'm surprised because I live in a harsh winter climate in the hills of Western MA and lavender usually doesn't do well here. Lavender luck? I guess so because I don't do anything special, I don't ever cut it back; I tried that once and I'll never do it again. I don't pamper it. I don't even cover it with mulch in the winter to protect it. Hmm, I sound like I'm a terrible gardener. I just let it do it's own thing. Yes, some of the orginal plants from 15 years ago are woody, but every year they keep producing amazing flowers. I digress. I really wanted to write about how much I love lavender and how often I use it. 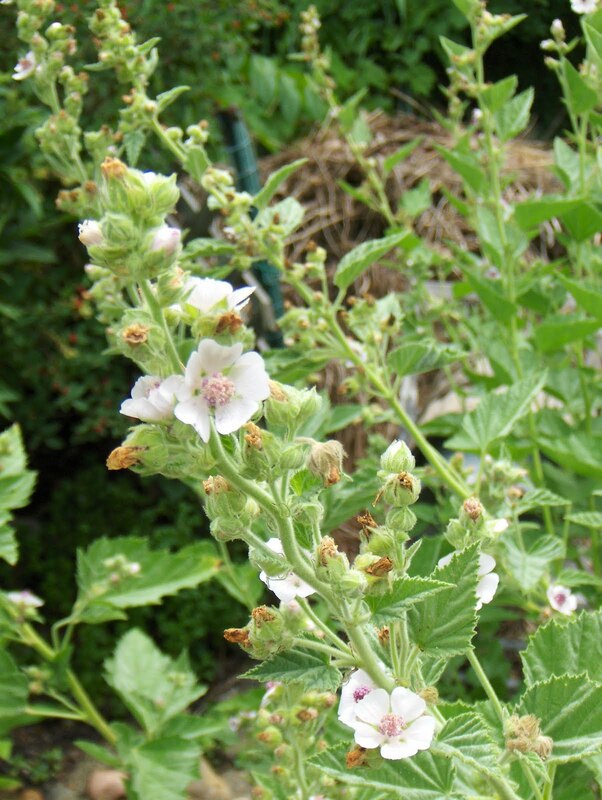 Historically, it has been used since the ancient Egyptians, who used it as a healing balm and in mummification. I've even read what when the tomb of King Tut was opened, the smell of lavender was still present. 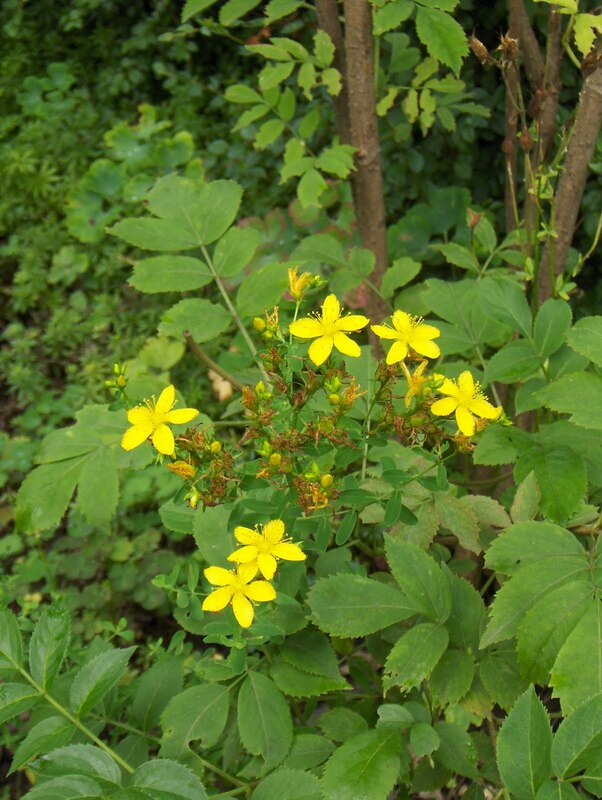 The Greeks and Romans used it in soaps and as a perfume. In Elizabethan times, it was used in laundry and a laundress was known as a "lavendre." Queen Elizabeth 1st suffered from migraines and drank several cups a day of lavender tea for relief. Even in WW1 it was used to disinfect wounds. 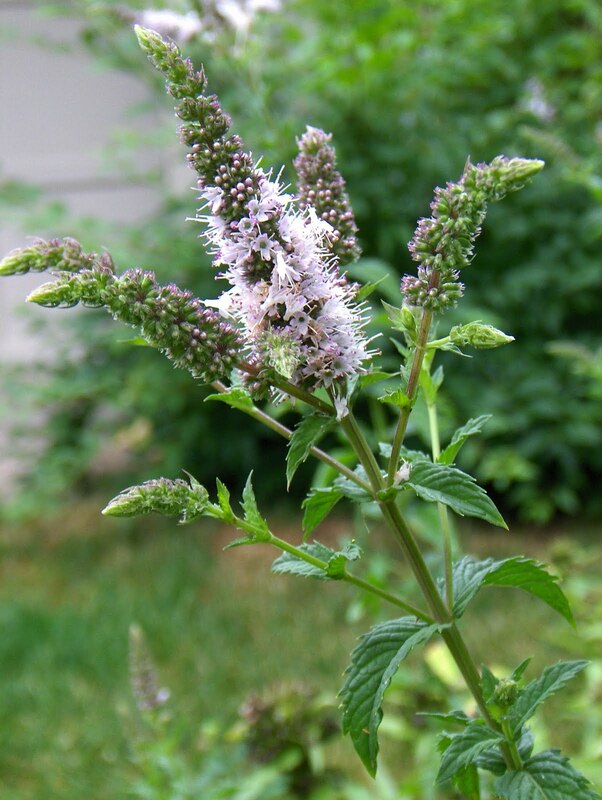 This common strewing herb has wonderful medicinal properties. 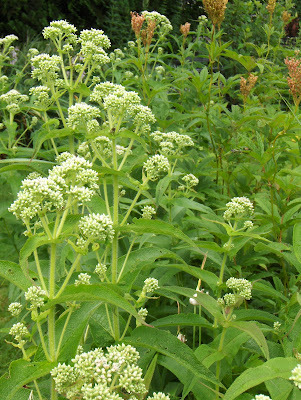 Good for headaches, burns, wounds, scrapes, stings, nervous exhaustion, colic, lice, insect bites, etc., it can be used as a tea, tincture, oil or salve. It's a wonderful relaxant too. Who hasn't sniffed a lavender sachet and let out an "Ahhhhhh." If nothing else, it will make your home smell great. 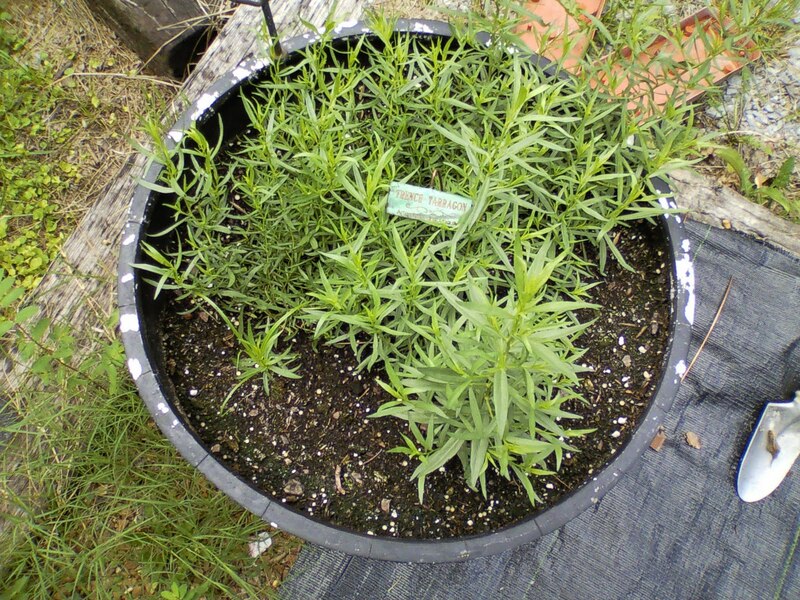 So, lovely lavendula officinalis, I sing your praise. You protect and clean my home, you make my lotions, creams and shampoos delightful and you taste delicious. Who doesn't love you? Combine sugar with 2 1/2 cups of water in a medium pan. glass pitcher, add lemon juice and another 2 cups of water. preheat oven to 350, grease and flour a bundt pan. Whirl lavender and 1/2 cup sugar in a spice grinder. vanilla, salt, in large bowl. Mix until fluffy. Add eggs, one at a time. Add flour then sour cream. Pour into pan and bake 50-60 minutes. sugared edible flowers like violets or lilacs. 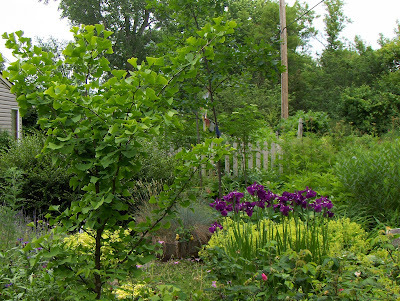 The next stop on our virtual tour is Michele Brown's garden in TN. Michele is the co-owner of Possum Creek Herbs, where she grows and sells amazing herbs to both wholesale and retail customers, as well as having a pretty steady presence at the Chattanooga Farmers Market and various craft, garden and herb shows in the area. Below, a bench is surrounded by fragrant lemon balm. Here in PA, the lack of rain is really starting to show in our gardens, with some plants turning brown and dying. It is a pleasure to visit Michele's lush, verdant patch of earth.Michele says, "I did everything in containers this year as an experiment. 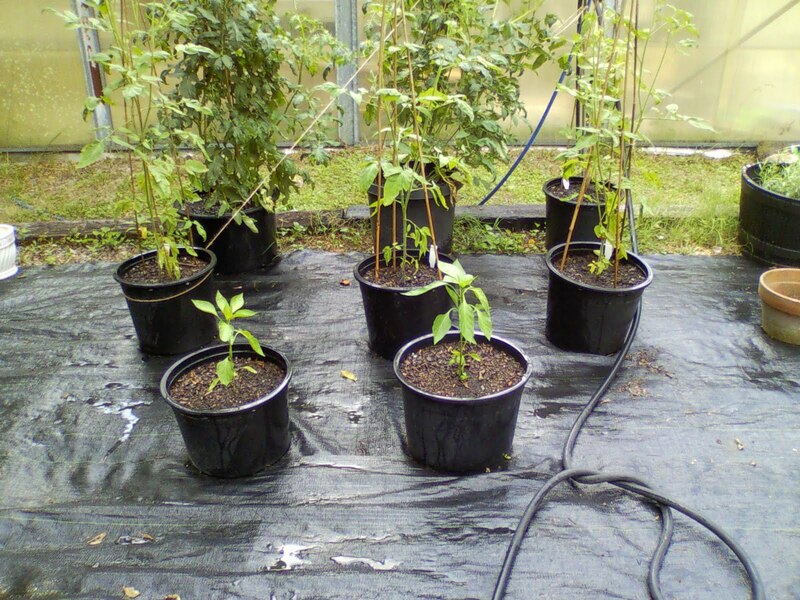 It is working well, easy to water and tie up as you can see in the veggie containers. I got a late start which is why I am still waiting on some tomatoes and the zinnias to bloom." With the weather we've had this year on this side of the country, I'd say she chose a great year to try this, especially as her business continues to expand year after year. I visited Michele's farm many years ago, and it was then a delicious meadow carved out of a deciduous woodland, with that soil that comes from such a place (and she does know how to build a good soil, too). I marveled at the pineapple sages that towered over me and the various plants that grew so well but were tender perennials to me. And of course there are some plants that are hardy just about everywhere - like this coneflower... 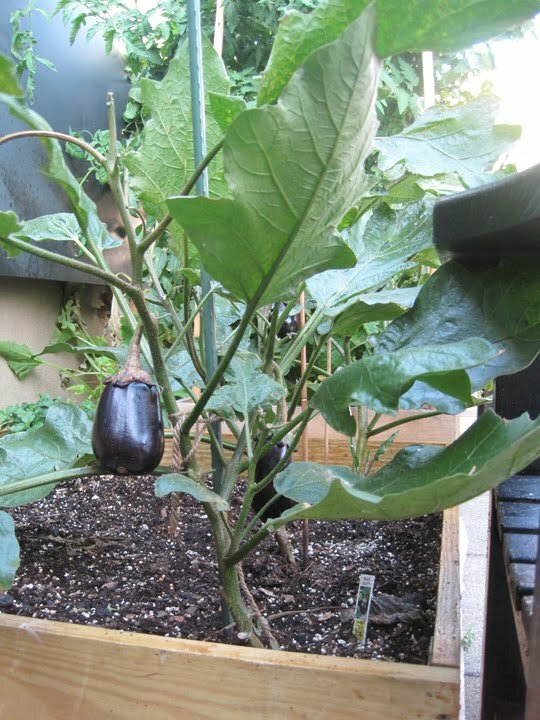 This container gardening looks interesting, though. For instance, I've lost 2 patches of French Tarragon to marauding weeds. Here, Michele has it safely tucked into it's own pot. Now this is an idea that I really love! This is a tea barrel, containing lemon balm, lemon verbena, and lemon grass. 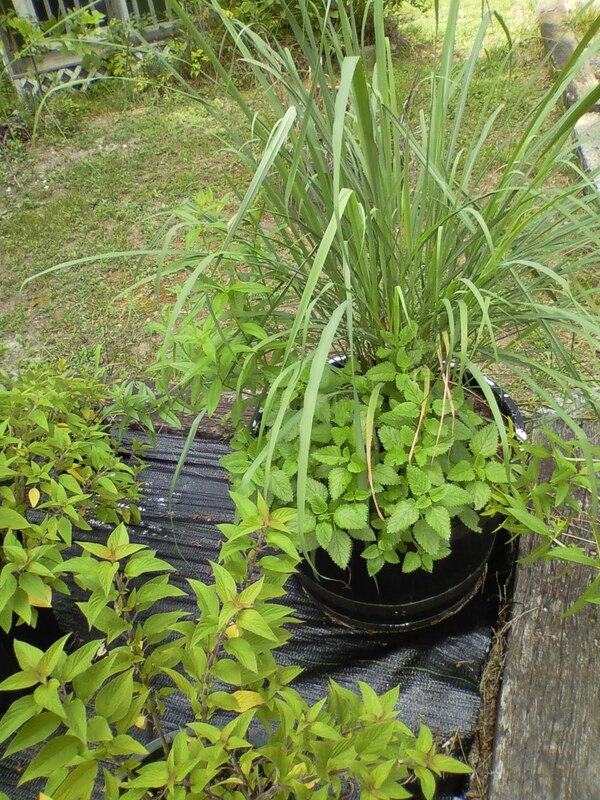 To make a delicious pot of lemon flavored herb tea, simply browse this barrel. One could add some lemon thyme and basil, as well! 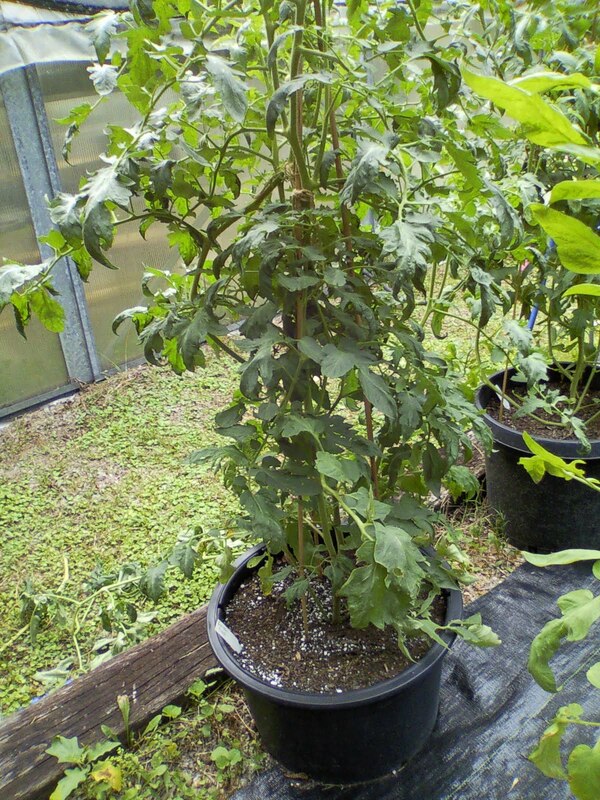 Maybe something like chamomile and lemon balm with a trellis for passionflower? That would work up north where the passionflower is mostly an annual. Ohh... are those little pineapple sage plants I see in front? Not sure where we're going next. Can we come to your garden? Rosanne Tartaro from SunRose Aromatics has lived in the Bronx, across the street from the ocean, just about her entire life. I know this woman. She toils in her garden every day, sometimes several times a day and loves every minute of it. Besides what she is sharing with us today, other gardens are filled with herbs and vegetables from which she makes delectable gravy (aka tomato sauce) for the dishes her Italian grandmother taught her to cook. This is another oasis in the city. Once again, amidst the hub-bub and noise, one can pass through the gate and get lost in the quiet, relaxing dream that once lived only inside Roe's mind. Now it is a reality. So let's wander around a little bit. Atlas balances a heavy load while watching over geraniums and calendula. I love the statuary in Roe's garden. It speaks to her spirituality as well as her heritage and ancestry. A brilliantly colorful patch of Asiatic lilies bloom, seemingly for the joy of the Goddess Flora, who gazes lovingly at them from the edge of the pergola. 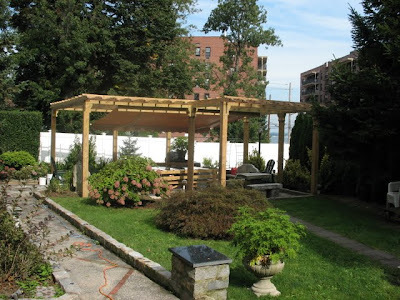 The pergola was finished in 2009, and a large table is in the center. All of it was built to Roe's vision. It is a place in which she spends a lot of time and loves to entertain. Who wouldn't? It's lovely! Still in the city, yet removed. I am really loving these gardens that carve a place out for themselves amid very NON-garden areas. 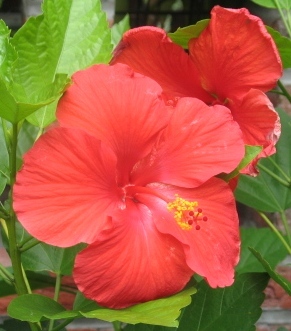 A little bit of tropical in a lush hibiscus.... This year there will be berries on the elderberries that are planted along the fence. Next year she's going to have more berries than she knows what to do with! I bet the birds love to bathe in the bowl held aloft by this garden girl figure, and as people walk near the garden on the sidewalk, they probably catch a whiff of the brilliant blossoms within. 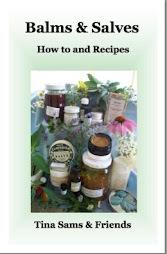 Be sure to visit her website for scrumptious rare and precious essential oils - as well as the ones we use everyday. We'll be off to Tennessee in a few days. If you are a subscriber of The Essential Herbal Magazine, please consider sharing your garden with us! In a few weeks I will be showing just how bad a garden can get because of the weather or neglect (I have a good excuse this year, not that it matters). I usually only show close-ups of blossoms, and crop out the mess, but I'm about ready to unveil the horror that is my garden. Don't be shy! We are ALL struggling with the hot/dry/cold/wet weather this year. What does excessive heat sound like? A little bit earlier, I decided to go get the mail out of the box and move the car into some shade. Oddly, our mail is usually delivered anywhere between noon and 4 pm, but in this heat they get it here around 10:30. 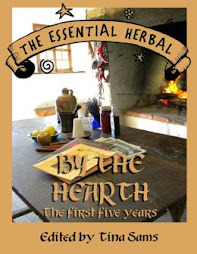 It is important that it is checked right away because I never know what people might be sending The Essential Herbal for review, and I sure don't want it sitting in a black box at high noon. About a year ago I remember writing that I could almost tell the time of day by listening to the sounds outside. As it turns out, if the temperature goes into three digits, all bets are off. It is darn near eerie out there! As I slid the door open and walked into the furnace, the first thing I noticed was that there was no happy buzzing coming from the anise hyssop and bee balm patch beside the porch. Silence. The chipmunk that almost always hangs around the front door and has no fear of me was no where to be seen. There is no birdsong. All the small animals must be sleeping somewhere in the shade or underground. Nothing is moving. There is no traffic. Granted, traffic to me might mean a car going by every 15 or 20 minutes, but nobody is going anywhere. The farmers are not working the fields. The crops are too stressed and fragile right now. The silence was broken by a single rooster crowing from my sister's house and a peacock calling from over a mile away. From the house on the corner that is full of kids, I heard a little girl laughing. I walk under the deck to turn on the hose and water the persimmon tree. The grass beneath my feet crunches like cellophane. There is normally a lot of air traffic over the house, but recreational vehicles of the sky seem to be grounded - perhaps because nobody wants to go anywhere. I didn't know excessive heat had a sound, but it does. It is silence. This is a garden TEH has had the pleasure of enjoying ourselves on several occasions. The first time, it was early spring and I noticed some wild edible weeds in the planters. Chickweed is one that I specifically recall. It is near the intersection of 10th Ave. and 57th St. in Manhattan, truly a city garden. Laura Daniel takes us to the rooftop garden of her high-rise home. 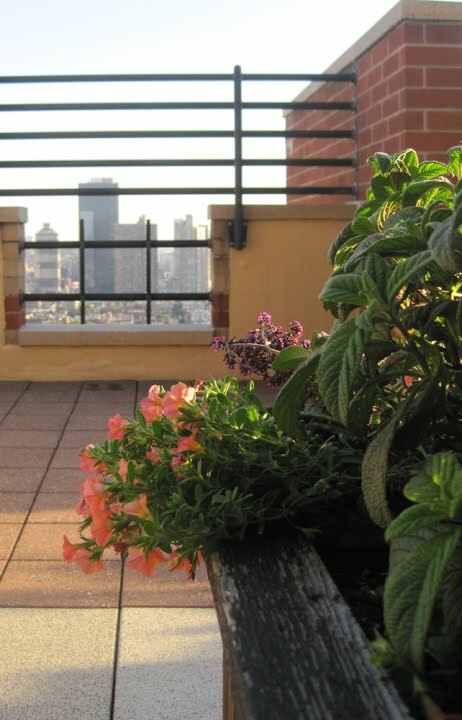 The view is amazing, and includes the East River as well as miles and miles of the city. Flowers and foliage are artistically planted into built-in raised planters that match benches and furniture that welcome those looking to relax. 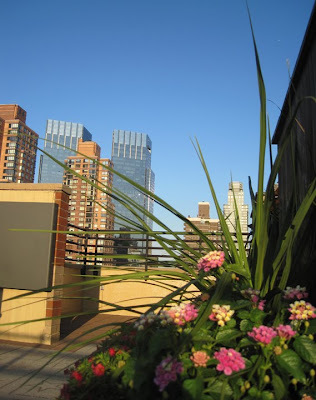 The contrast of beautiful, healthy plants and the big city just seems to make the plants all the more delightful. Tomatoes are staked and form a green wall next to a cozy bench. 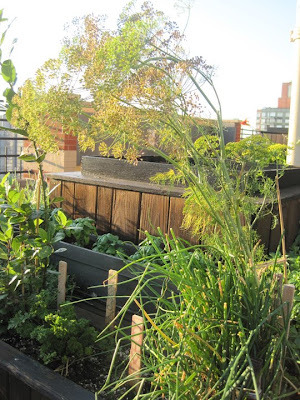 Layered raised beds hold all kinds of culinary herbs. 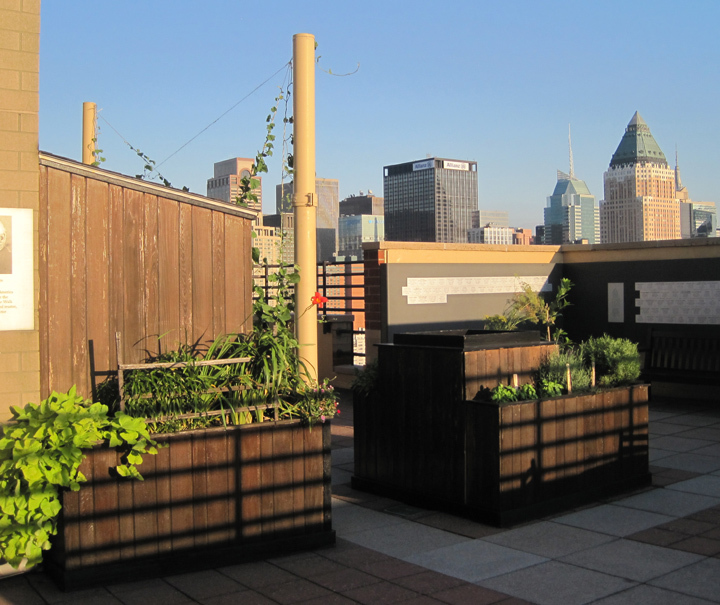 In the background, there is a vine being trained between the large beige poles, and many herbs grow surprisingly well. 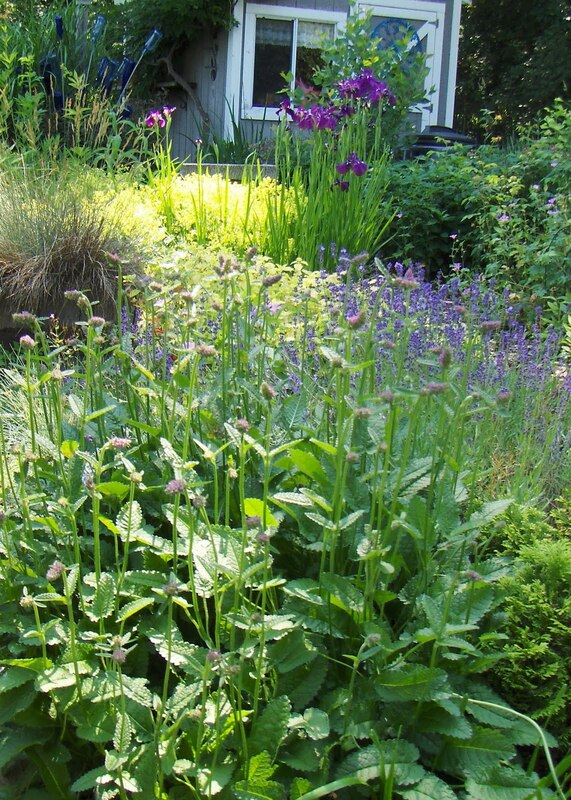 The lushness of the plants tell of the great care that they receive. Someone spends a great amount of time in this garden. 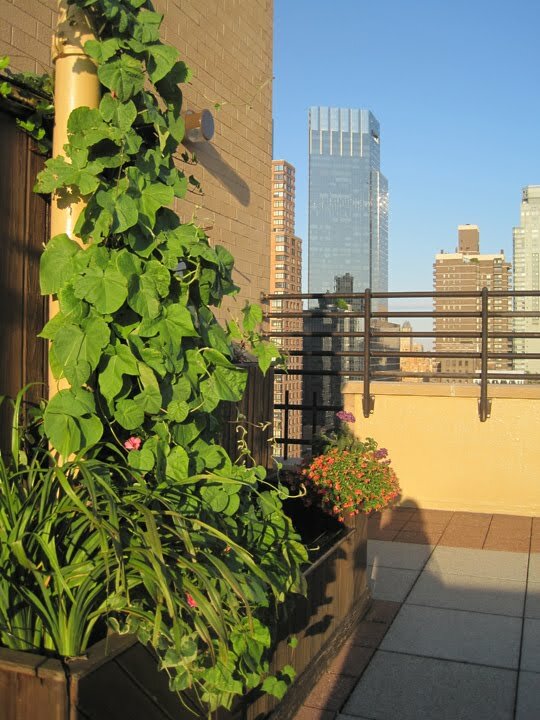 I wonder if that vine is some sort of bean or if it will be a moonflower or morning glory. Tomatoes will soon be turning red. Luscious, lustrous eggplants ripen and will soon be someone's dinner. Fennel and other culinary herbs growing. These gardens leave me wondering about the person who so lovingly tends them and so generously shares them with all of the neighbors. 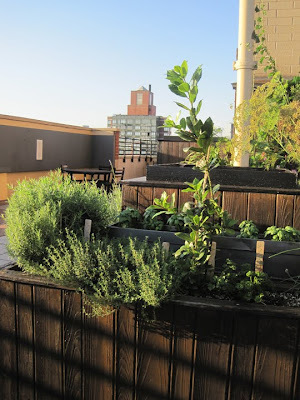 There are probably several hundred people living in the building under the garden, but there doesn't seem to be any concern that anyone will take too much of any of the herbs. Laura often finds interesting and unexpected things as she rushes around the city going from auditions to performances to rehearsals and back again. She writes about them on her blog. Thanks for the visit, Laura. I wonder where we will visiting next!